Nobody offered him scholarships. Nobody recruited him. 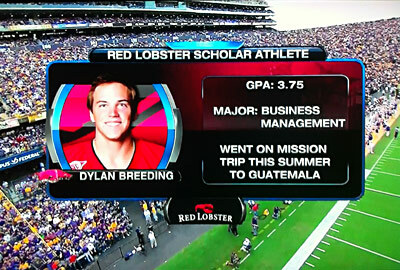 But Dylan Breeding knew he had to try for a spot on the Arkansas Razorback football team. A talented punter, Dylan dreamed of playing college football. Ideally, it would have been for the University of Alabama, located near his hometown of Hoover, Ala. But when there was no opening for a punter on the Alabama Crimson Tide football team, he began looking elsewhere. The Razorbacks needed a punter. He contacted the coaches. In June 2009, immediately after graduating from high school, he moved to Fayetteville, enrolled in summer school and, by August, began football practice, where he was designated as a preferred walk-on, which assured him a spot on the team but no scholarship money. As a punter, Dylan explains his role on the Razorback team succinctly. “My goal as a punter is to give our team the best field position possible,” he says. He’s also working for the best position possible off the field. One way he’s doing it, he says, is by attending the Sam M. Walton College of Business, where he’s majoring in marketing. Even with training, practice and football games on the road, Dylan is in the Walton College Honors Program, which motivates him to keep at his best, he says. That means studying whenever he gets a chance, especially on Sundays. “The discipline is that I don’t sleep much,” he says. He says his first visited to the University of Arkansas was a bit of a whirlwind tour. But he says he soon learned that Walton College had a great reputation. “I liked the business college – it being so prestigious,” he says. Since coming to the university nearly three years ago, Dylan has earned a scholarship. He also was nominated for the Brandon Burlsworth Trophy the past two seasons, which goes to an outstanding football player who began his career as a walk-on, and the Rudy Award, which honors student athletes who demonstrate exemplary character, courage, contribution and commitment as members of their team on and off the field. In January, Dylan was selected to the 2011 Southeastern Conference Fall Academic Honor Roll and the All-SEC second team for football. 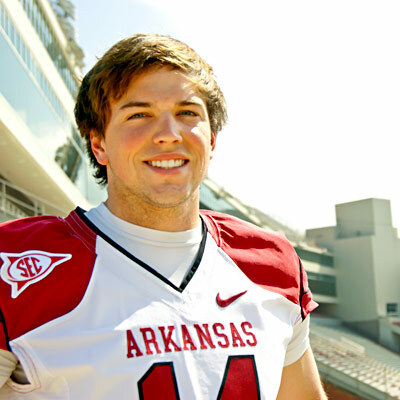 Off the field, and outside of the classroom, Dylan is active in Fellowship of Christian Athletes, which has active Razorback members, and speaks to groups on behalf of the organization. He also plays golf. One other thing has happened as well: confidence. Dylan says he expects to graduate this December, which leaves him a few months until the NFL draft. “I’m going to stay up here, train and hope for the best,” he says. Robin Soster is getting used to the ribbing when people step inside her office. On the wall is a Gamecocks banner from her alma mater, the University of South Carolina. “That’s probably my favorite thing: when people come in my office and ask me where I’m from,” she says. Newly transplanted from South Carolina, where she has spent most of her life, the Department of Marketing assistant professor says she’s already warming up to the Gamecocks’ rival, the Arkansas Razorbacks. Also on her office wall is one of many famous hog hats worn by diehard Arkansas sports fans. Because both the Gamecocks and Razorbacks are Southeast Conference teams, she says this helps her feel like she’s not so far from her hometown. In fact, until her job interview at the University of Arkansas, she had never stepped foot in the Natural State. There have been Arkansas connections, however. Midway through graduate school at the University of South Carolina while pursuing her marketing MBA, she found herself working for Gamecocks football Coach Lou Holtz, who once coached the Razorbacks. Through her alma mater’s FABER Entrepreneurship Center, she helped design the team’s promotional hats and T-shirts. Soster, who teaches consumer behavior, says her academic journey into marketing stemmed from a question she asks herself when she goes shopping: Why am I buying this? Though she earned bachelor of science degrees in both management science and economics, she says the behavioral aspect intrigued her. “Marketing was just the natural fit for me,” she says. Her ability to “practice” consumer behavior was one of the many aspects that attracted her to Northwest Arkansas. Up the road in Benton County are plenty of shopping centers and stores. She says her husband, Eric Soster, and three children love the “cool” and “funky” side of Fayetteville and get out and enjoy the Ozarks as much as possible. Soster’s journey to academia was a winding one. Before deciding to go back to the University of South Carolina to pursue her Ph.D., she was a marketing and financial analyst for a private equity firm, worked as a computer programmer and even toyed with becoming a high school teacher until she had the opportunity to teach an undergraduate course at Winthrop University in Rock Hill, S.C. Once “bitten by the teaching bug,” she decided to go back to school, completing her degree in 2011. 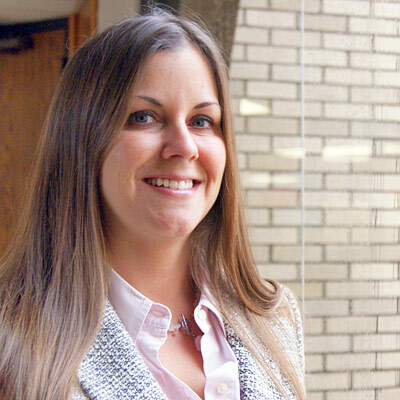 As one the newest faces at Sam M. Walton College of Business, Soster says she hopes she can leave a lasting impression with her consumer behavior students. She says she challenges them to make rational decisions in the marketplace and to be the kind of managers that enable other consumers to do so as well. She says she tries to convey this message through humor (on her non-teaching days, she can be found in her office wearing a Mickey Mouse T-shirt) and assigning her students books business professionals are reading. Growing up in Arkansas, Dr. Gary Peters loved the outdoors. Fishing. Hunting. It was all good. As an undergraduate enrolled at a community college, he thought he could channel his passion by majoring in biology with the idea of someday working in wildlife management. When he took a job at a local sporting goods store, however, that all changed. “I really got more interested in running a business instead of just working at one,” he says. 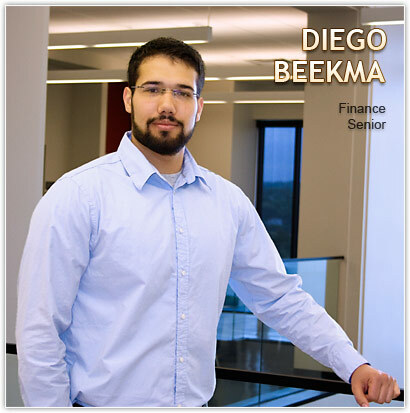 He switched his degree to business, although he did not see himself becoming an accounting major. “Well now I can use these skills to make a difference inside the company,” he told himself then. He graduated, became a certified public accountant and went to work in Little Rock. All the while, he had a desire to learn more about the profession. He left his home state and pursued a master’s degree at the University of Missouri followed by a doctorate at the University of Oregon. He began teaching at the University of Georgia. In 2003 the University of Arkansas called. Peters’ work opportunities are his research, which focuses on audit committees and internal auditors and how they can add value to companies. He says their knowledge can aid companies and their shareholders in making sound decisions. His work has appeared in numerous publications, including Contemporary Accounting Research, MIS Quarterly and The Accounting Review. In 2009, Peters was named to the Doris M. Cook Chair of Accounting. 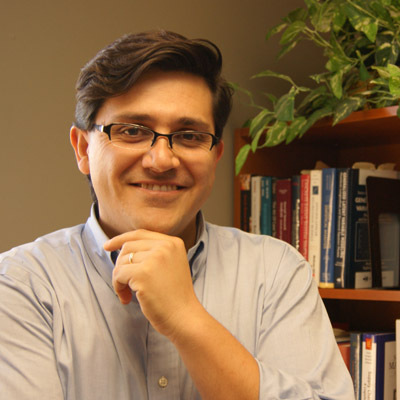 When Dr. Anníbal Camara Sodero learned the University of Arkansas had created a Department of Supply Chain Management, he was eager to get on board. 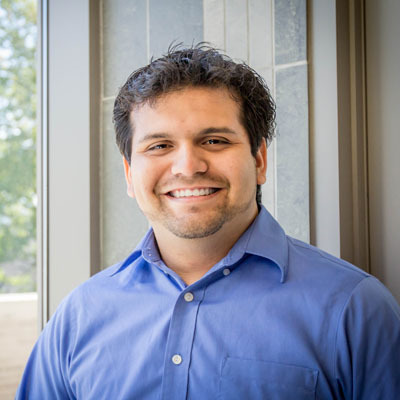 He knows how exciting it is to be part of something that has just started, and he realized a dream when he joined the department at the Sam M. Walton College of Business in January 2013. It was a no brainer: an excellent job, at a wonderful institution, in the perfect location! It was an achievement that tops all the other major accomplishments in his career, he says. Sodero already knows success. In his late teens, he used knowledge gained from his bachelor’s degree in computer sciences at Universidade Federal de Minas Gerais to start a business in a small studio in Belo Horizonte, Brazil. If something needed to be done, he and his partner would roll up their sleeves and take care of it themselves. “At the beginning, we were washing toilets,” he says. Eventually, Ad Hoc Informática took off and became the market leader in software and consulting services for third-party logistics providers. “The industry was underserved, so we saw this niche,” he says. In 2005, Sodero sold the company to Brazil’s giant GlobalWeb Data Services Corp. By then, his life had changed considerably. He followed his wife, Dr. Anna Goussevskaia (who recently began teaching at the Walton College as well), to England where she was working toward a Ph.D. in management at Warwick University. While there, he earned a master’s degree in supply chain management. He says he felt a need to grasp the underlying theories he encountered during his more than 10 years at Ad Hoc. After a brief return to Brazil, Goussevskaia persuaded Sodero, a son of educators himself, to follow his vocation. 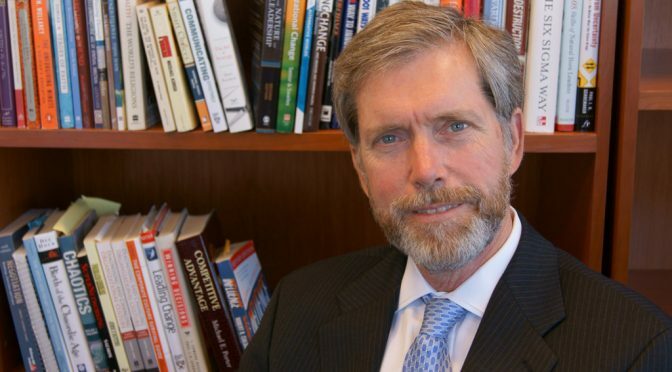 He enrolled in the Ph.D. program in supply chain management at Arizona State University. The couple moved to Tempe, and his wife became a faculty member at the university’s management department. Before graduation, Sodero learned of an assistant professorship opening at the University of Arkansas’ supply chain management department. It became his top choice. For starters, many of the faculty’s research streams were aligned with his interests, which are centered on multichannel retailing and the use of social media in supply chains. The collegiate atmosphere of the new department at the Walton College offered unique opportunities of collaboration and cooperation with experts in the discipline. Also, Sodero says he valued that both supply chain management and RFID research centers bridge the relationship between academia and practice. When he was invited for a campus visit, he says he immediately fell in love with the Northwest Arkansas people and the Ozarks. So, when he received a job offer, he did not hesitate to accept it. “It was a no brainer: an excellent job, at a wonderful institution, in the perfect location!” he says. In his spare time, Sodero likes to cook. His specialty is chicken tikka massala, a dish he learned to prepare while living in England. He says he and Goussevskaia are eager to explore the outdoors and attend concerts at the Walton Arts Center. The months following high school graduation, David I. Medina studied the dialogue from an American TV show about plane crash survivors on a deserted island. Living in Monterrey, Mexico, he was taking an English class where viewing the TV series “Lost” was part of the curriculum. He says the show’s plot was captivating and provided a good incentive to mastering the English language. “I wanted to learn what they were saying,” he says. David had big plans in the works. His brother and sister had moved to the United States and told him good things about the country. David’s brother, in particular, went to college and landed a job at Walmart in Bentonville. David decided he wanted to live in Bentonville, too. Moving to Northwest Arkansas was a bit of a culture shock, he says. His transition was eased when he discovered there was less traffic than Monterrey, and he was excited to experience his first snowfall. Shortly after moving to Bentonville, David enrolled at NorthWest Arkansas Community College where he took his core courses and had a job working on the school’s computers. 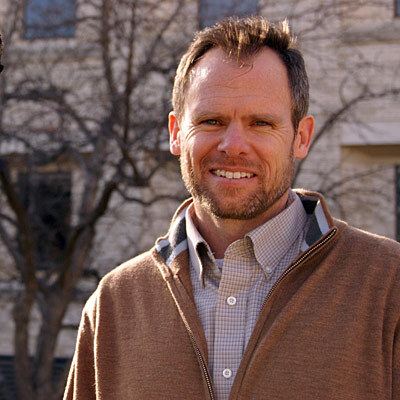 Since transferring to the University of Arkansas in 2010, David has been a familiar face at the Sam M. Walton College of Business, especially to the faculty, staff and Ph.D. students. As a computer technician with the college’s Technology Center, he helps keep their computers running smoothly. That will change at the end of the semester. David will graduate with a computer science degree and work at Walmart’s headquarters in Bentonville as a programmer analyst. There, he will help create computer applications for Walmart vendors to use. The job came after two summer internships with the world’s largest retailer, David says, adding that working at Walton College helped him understand the retail culture better. He even utilized the college’s Career Center to help him fine-tune his resume. David says his love for videogames played a role in his majoring in computer science. As a class project, he designed a videogame based on Super Mario Bros. called Arkansas Rumble, where a little hog maneuvers through paths as it bashes away mascots from rival universities. He has also created a website where social media users can create memes in Spanish and is working on a videogame where zombies attack the University of Arkansas. Yet, David says he may further his education at some point by enrolling in Walton College’s Executive MBA program. There, students can earn a master’s degree in two years by attending class one Saturday a month and doing the rest through distance learning. Now settled, David says he has adapted to Arkansas culture, including attending Razorback football games, even though his heart is with soccer. “Half of the time, I didn’t know what’s going on, but I still like it,” he says. He says he also plays bass guitar for his church band, but, he concedes, playing the guitar isn’t his No. 1 passion. “My passion is computers,” he says. That initial view of the Boston Mountains from Humphreys Hall dormitory was breathtaking. The campus was large and the opportunities were exciting. Clair Finke soon learned the rave reviews she heard from her former next-door-neighbor weren’t bogus. The University of Arkansas was where she wanted to go to school. Living in Leawood, Kan., a suburb of Kansas City, she had many possibilities of where to go to college. When Clair and her parents scheduled a trip to Fayetteville, she went on a campus tour, met with Undergraduate Programs at the Sam M. Walton College of Business and, to get a feel for the “realistic side” college life, visited her transplanted neighbor. Her father was also impressed, she says. Her decision to attend the University of Arkansas was solidified. She is an international business major with a minor in Spanish and economics. The summer before her freshman year, Clair participated in the Business Leadership Academy, which continues to be offered each summer. Operated by Walton College’s Center for Retailing Excellence and Diversity Programs, it provides incoming freshman a taste of the college life while presenting them business concepts ranging from accounting to presentation skills. Clair says a high point for her was when a buyer for Walmart came to speak to the academy. “That’s when it hit me I was doing the right thing by going to the Walton College,” she says. During the program, Clair spoke with an adviser and learned she would be a first-year honors student. With smaller classes provided for honors students in a large campus setting, Clair says she has the best of both worlds. The teamwork, friendship and little things, like ordering late-night fast-food while working with her fellow students in the college’s Underwood Family Honors Lounge, will be memories Clair will cherish. “When you walk in the halls, there’s always a familiar face,” she says. She says she has also benefited from Walton College’s established reputation in the business world, like providing opportunities to visit local corporate offices. Clair says she has utilized the George W. Edward Jr. Career Center when needing help writing her resume and gaining information about internships. As a member of Leadership Walton, which helps prepare students for the business world, she gained an internship in China working as a marketing planner for a travel company. Clair and two other American interns wrote blogs for the company to encourage tourism to the country. She also came up with the idea of having a photo contest on the company’s Facebook page to encourage activity on the website. She is studying abroad this spring, traveling to Spain to attend the Universidad Carlos III de Madrid. Then, next summer and fall, Clair will intern for 22 weeks in the Innovations Department at Sam’s Club, where her duties will include merchandising and other assignments. She says the experience will allow her to see a project from the very beginning to its end result. Clair is a member of the university’s chapter of the National Retail Federation Student Association, where she has served as secretary. Away from Walton College, she is active with the Kappa Delta sorority, where she has held leadership roles. She says she plans to graduate in May 2014 and is keeping her options open. 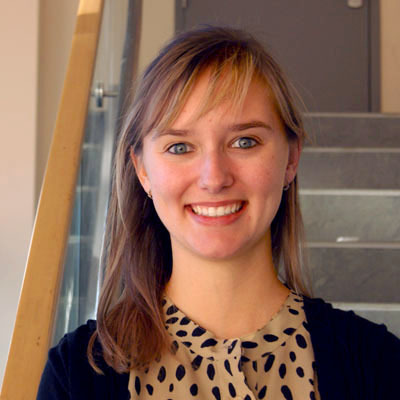 “Graduate school is definitely on my radar,” she says. But one thing she says she knows for sure, attending Walton College was a smart decision. “I love to travel, and I think international business is the right direction for me,” she says. For Chris Krittenbrink, the global experience is already happening. Last summer, he visited South Africa as part of the University of Arkansas’ Study Abroad program. As a student at the University of the Western Cape, he took economic developmental classes where his studies included the World Bank. He even had an opportunity to hear former Capetown Archbishop Desmond Tutu speak. Through other people’s eyes, he began to see how foreigners view the United States. There were also projects. “I was in a class where we picked a developing nation and talked about it,” he says. It was not the first time for Chris, who’s from Norman, Okla., to travel abroad. He says his first overseas experience happened when he was 16 and lived in San Sebastian, Spain, with a host family through a Spanish immersion program. He says the experience led him to consider a career that would allow him to combine his interests for business analytics with opportunities to travel around the world. Majoring in international business management with a minor in Spanish seemed like a good start. Chris says his parents and sisters all attended the University of Oklahoma, which is located in his hometown. “I was looking for something that was a different atmosphere than Norman,” he says. When he paid a visit to the University of Arkansas, the Sam M. Walton College of Business looked like a good fit for him, he says. The university, located about 250 miles east, provides some independence while being close enough for the “safety net” of his parents should he ever need them, he says. When he began his business classes that fall, his decision was reaffirmed. “On day one, I felt I had someone I could call and communicate with,” Chris says. 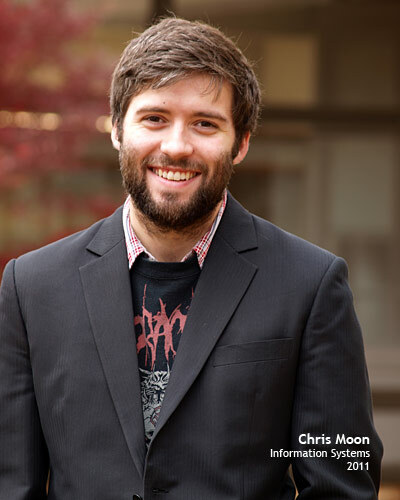 Now a senior, Chris says he hopes to work internationally in a profession that deals with identifying and acting on global trends in the corporate structure. He says he would be happy to working in the United States with clients abroad or living outside of the country, if need be. “I’d like my focus to be on global interactions and how to cope with them in daily operations,” he says. 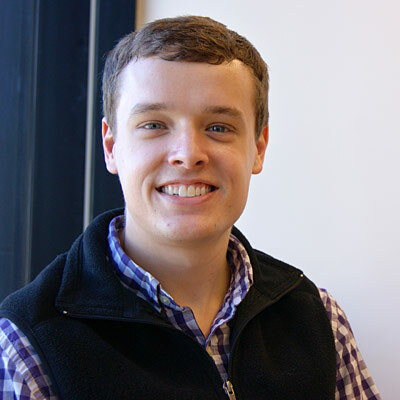 His current daily interactions and operations, however, include student activities such as serving as a Walton College Student Ambassador where, among other duties, he gives prospective students campus tours. It also allows Chris to learn even more about the college. “You get to know everyone who works at Walton College a little better,” he says. His sophomore year, he was also a mentor for Freshman Business Connections, a first-year program at Walton College. His other activities include membership with the university chapter of the Human Resources Management Association, which brings in local and national business leaders for presentations. He is also a member of the Pi Kappa Alpha fraternity. As Chris winds down his final year at school, he says he has had little free time, aside from the occasional tailgating at sporting events or hanging out with friends at local lakes. Instead, he says he takes every opportunity to do homework and tries to minimize his television viewing. Yet, he says he’ll always value his college education, which he says offers diverse instructors from so many walks of life. “I just think there are so many opportunities at Walton College, and you don’t realize it until you get deep into it,” he says.